Sometimes Christmas doesn’t happen on Christmas Day. Sometimes people are working. Sometimes family members can’t get together on a particular day. Sometimes Christmas comes after Christmas. That’s the way it was in our house this year. Our Christmas came on December 27th. Two days after the official day, our family got together for a Christmas pancake brunch and gift exchange. 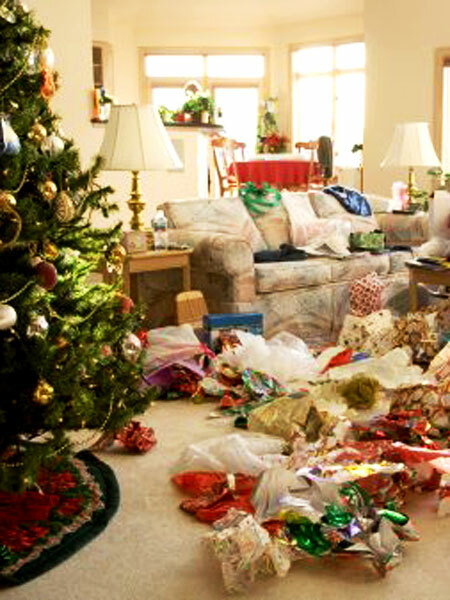 Of course, all the decorations were still up, because this was our Christmas. The miniature Snowflake Village was in place with all the required snow and Victorian buildings. There is even a pond with skaters! The collection of Santas lined the short wall between the dining room and living room. My favorite is the small white felt Santa who holds his own among all the giants. The fireplace mantel is a tribute to my mother, who was a supreme baker, especially at Christmastime. Anything having to do with candy and sweets can be found there. The card holder is a set of shutters I painted and stenciled specifically for its Christmas charm. I love it standing so tall next the fireplace. We don’t have much room for a Christmas tree, but the tall narrow tree seems to fit pretty well. We have many decorations collected over more than forty-five years. It is very nostalgic to handle each one while decorating the tree. We are tinsel people and always have been. I know it’s going out of fashion, but I love it. The table is all set and ready for everyone to arrive. An hour or so later it was full of family, pancakes, eggs, bacon, biscuits and cinnamon rolls. Everyone had their fill before emptying the tree of all its gifts. Outside it was rainy, windy and cold. Inside it was warm with a fire, bright with all the lights, happy with everyone talking and laughing. Outside it was unpleasant. Inside it was family. Outside it was miserable. Inside it was Christmas! 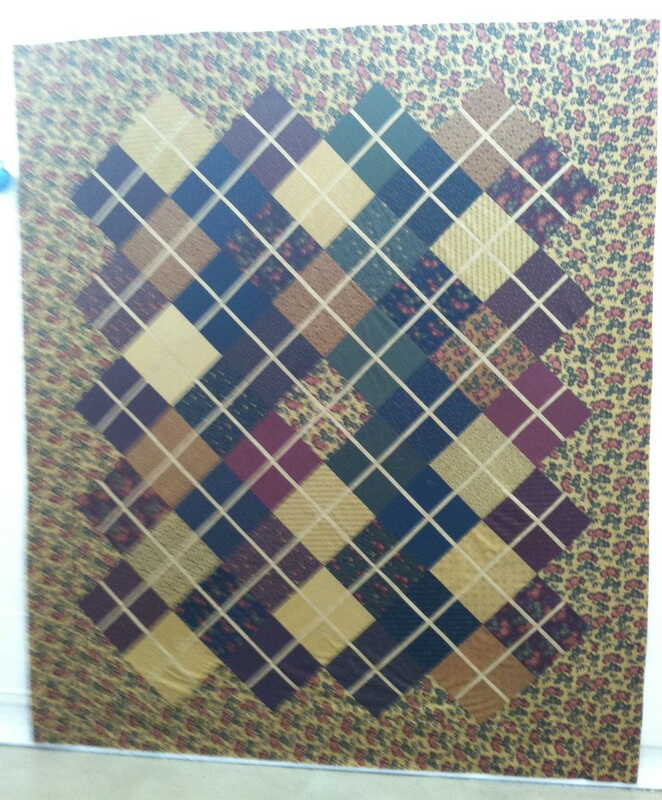 Every October my quilting group has a retreat. We go to a special place, at a special time, for a special activity. Each time the retreat seems to take on a life of its own. This year, it seemed to have an aura of beginnings, of starts, of onsets. 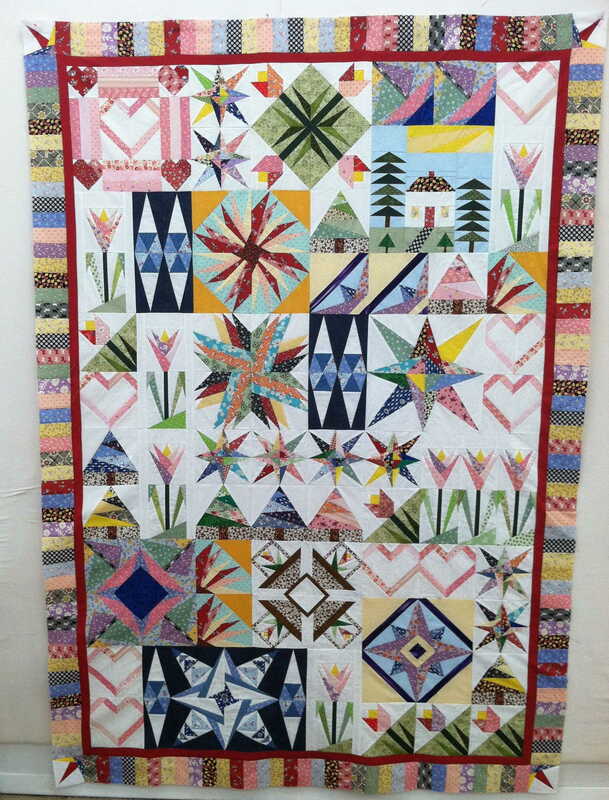 Sometimes people are finishing quilts or projects, binding, sewing on labels or putting on the finishing touches, but this time brought out new squares, not-seen-before projects, uncut fabrics and patterns to try out. It was all very exciting and challenging. New projects, new quilts, new ideas. What fun! This unfinished piece is a wall hanging made out of wool, in the Noah’s Ark theme. 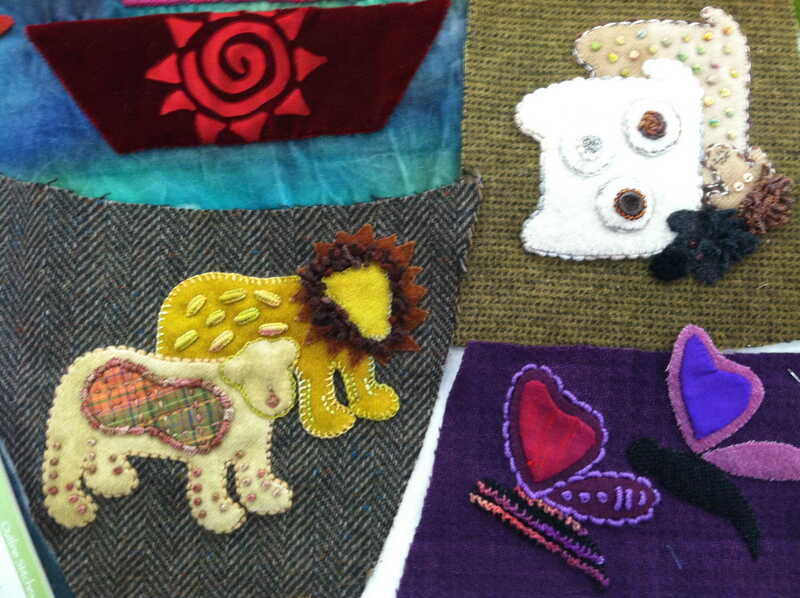 Another closeup of the animals in wool. What a great beginning! 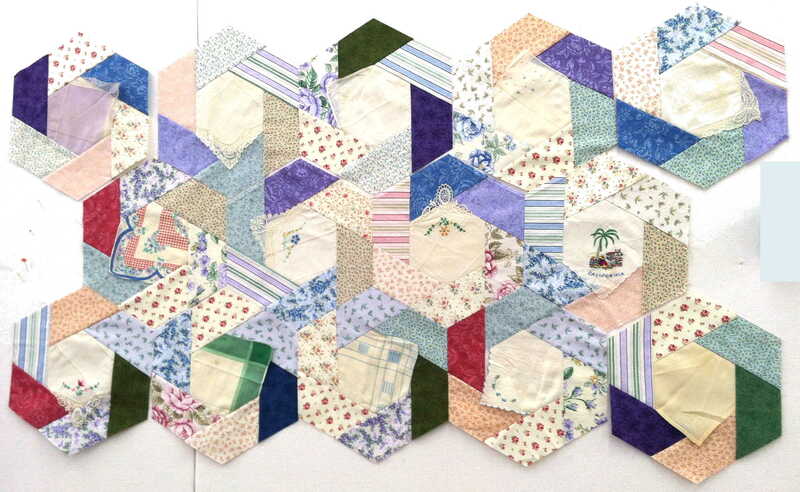 This beautiful start of a quilt is made from handkerchiefs. It will be spectacular when finished. 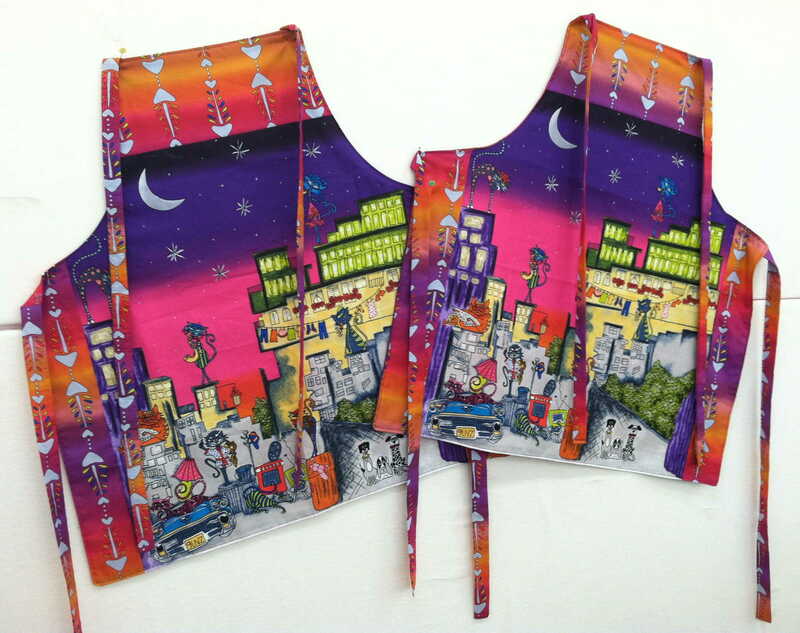 Aren’t these aprons bright and beautiful? AND they are DONE! 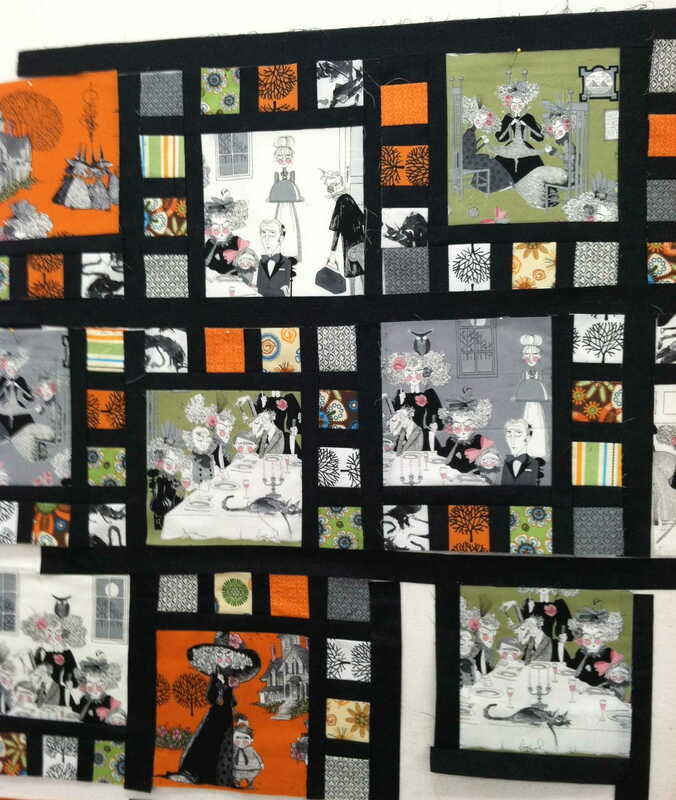 This quilt was started just in time for Halloween. What a cutie! 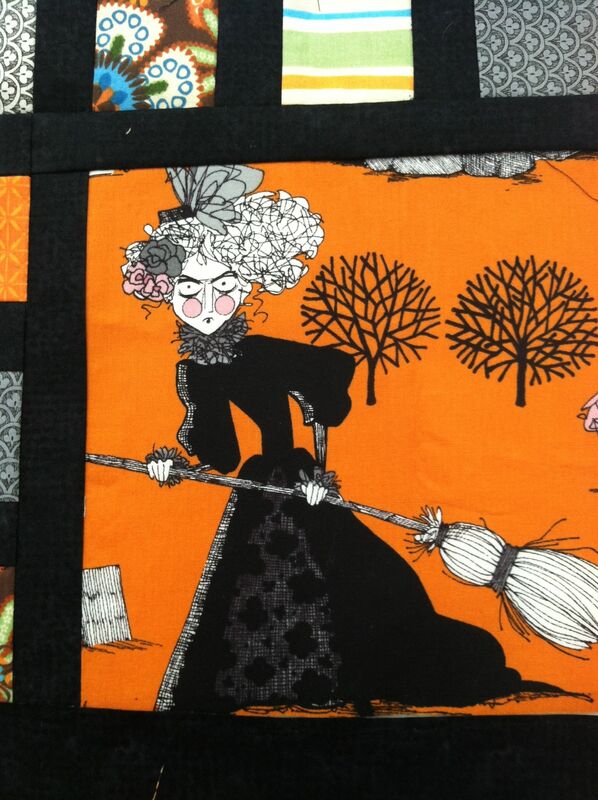 A closeup of one of the Halloween quilt squares. What a hoot! A witch to contend with! 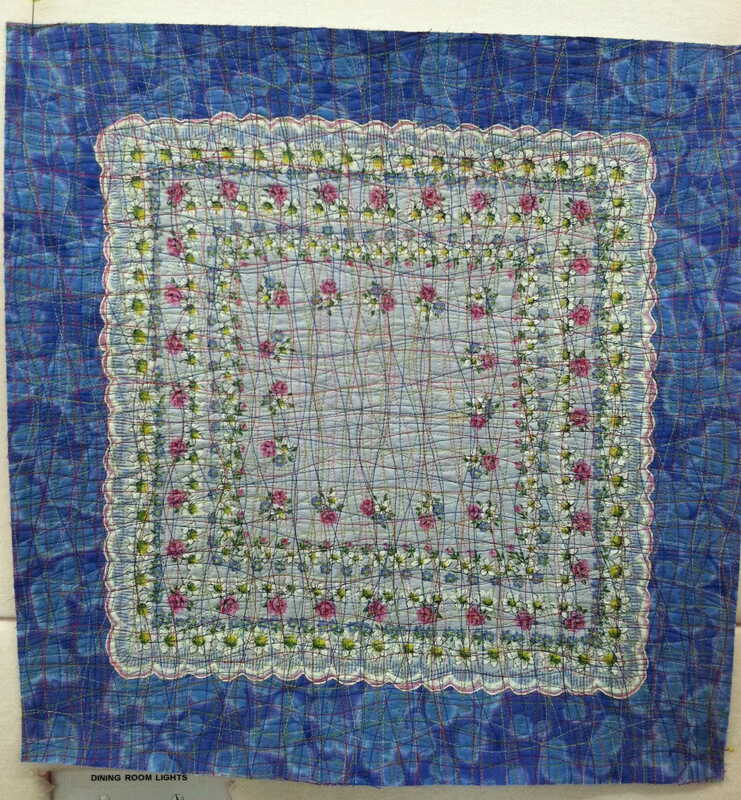 This interesting piece is a pillow top made with a handkerchief and thread painting. 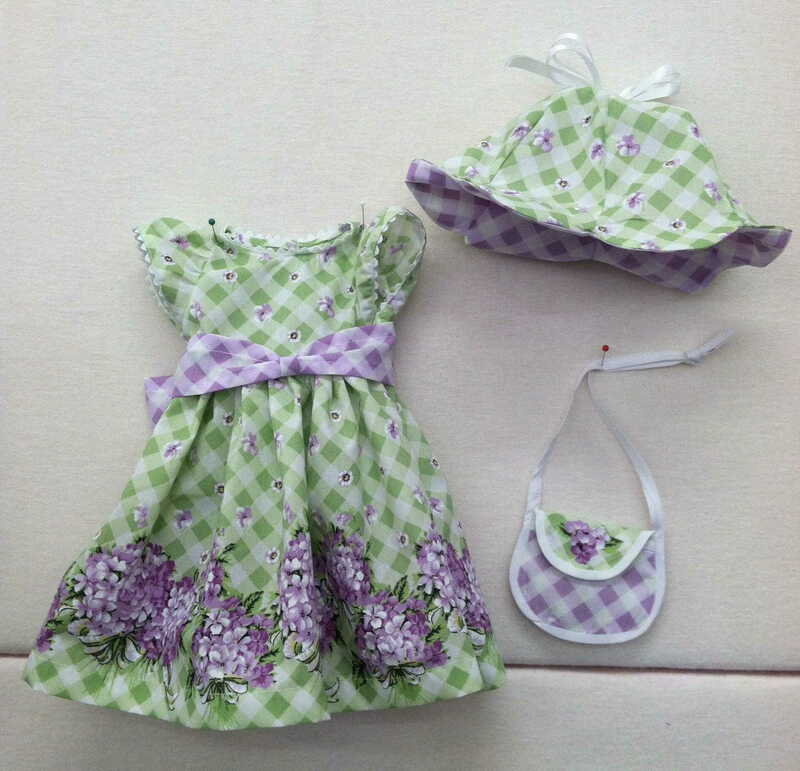 This adorable doll dress was the first of about six dresses made. What a lucky girl and her doll will receive these for Christmas! 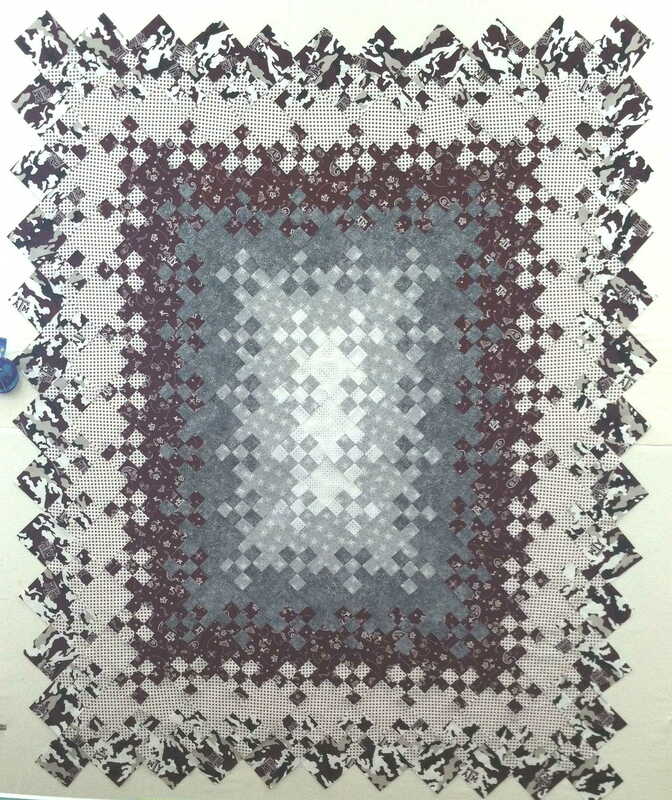 Doesn’t this quilt look like Argyle socks? I think it will be just as comfortable and cozy. 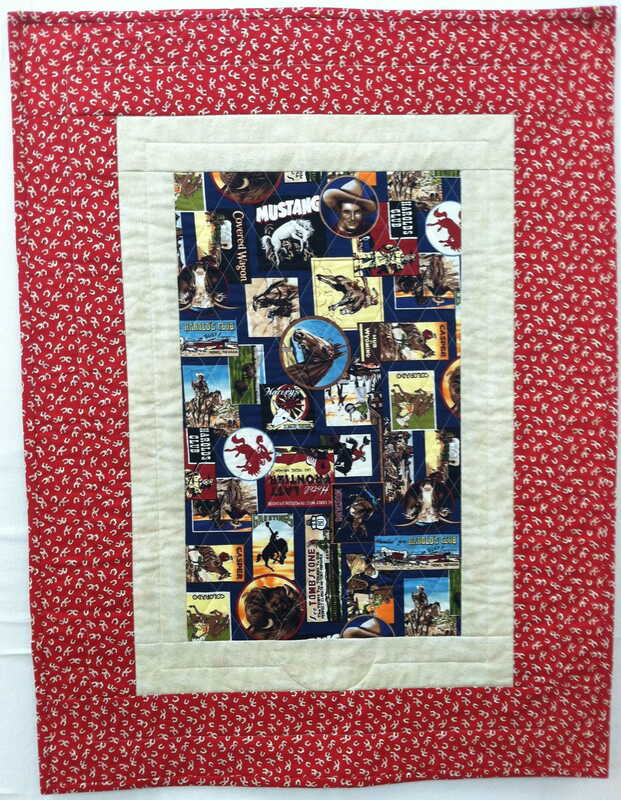 This almost done baby quilt is for a baby named Scout. How perfect is that? 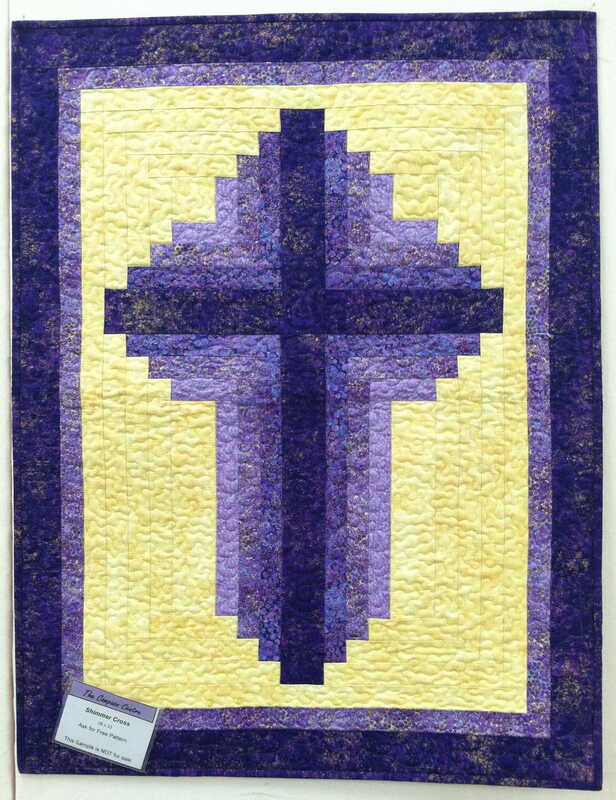 The shimmering cross made with all fabrics that have gold threads in them. Gorgeous! Won’t this one be beautiful when it is finished? It’s certainly on its way! 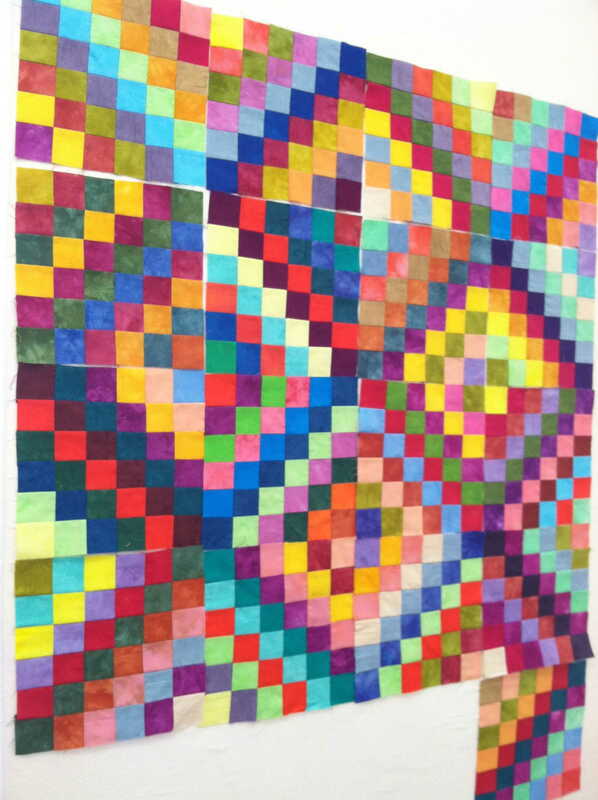 This quilt is made of college colors and looks stunning. 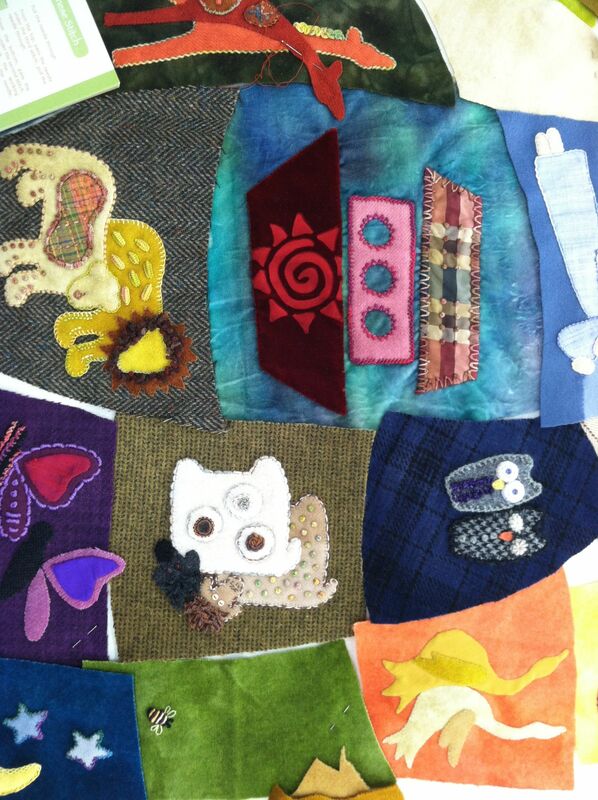 I can hardly wait until it is all sewn together! 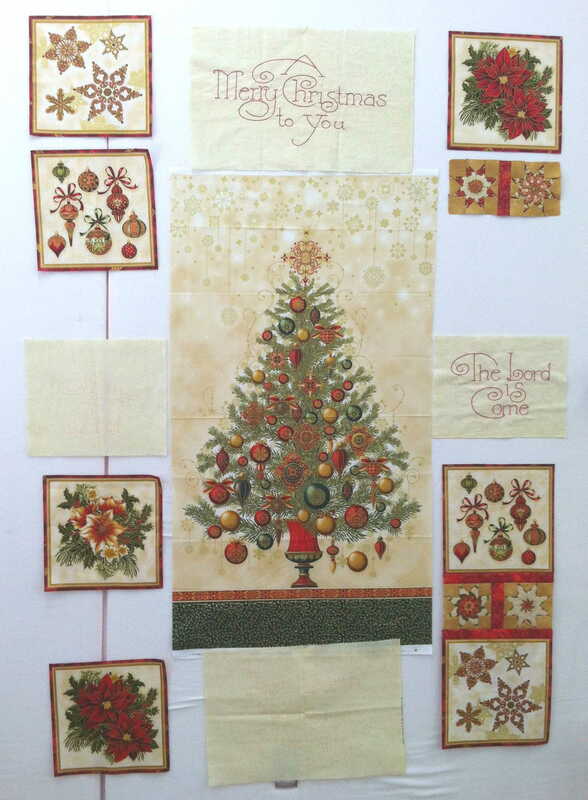 This will be one stunning Christmas quilt when completed. 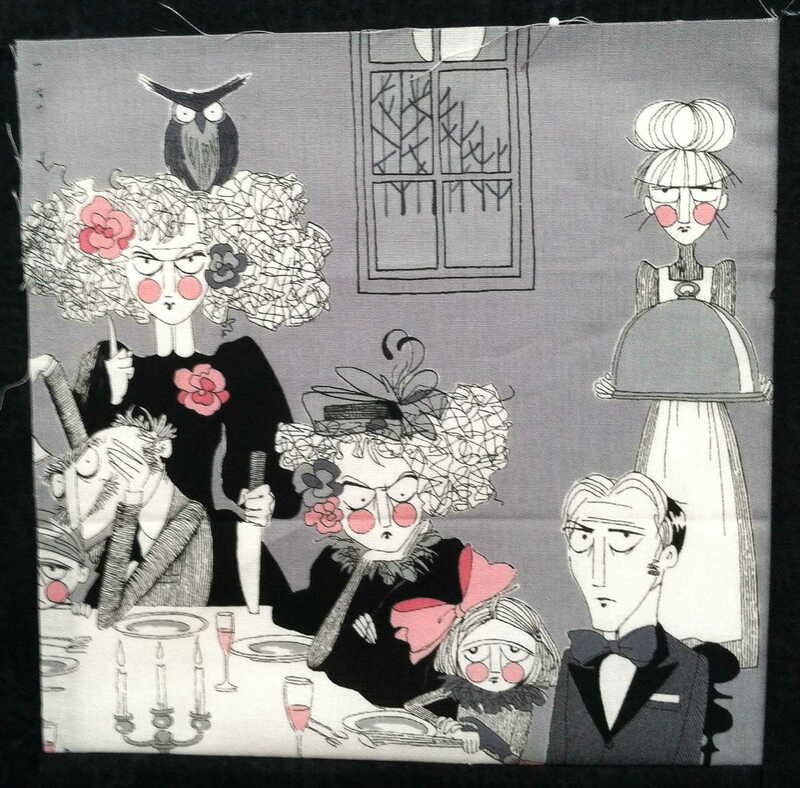 How fabulous is this sampler! The quilter worked all day attaching the piano keys border! All of these projects were so inspirational. Each one made me want to break out new fabric, new patterns, new thread, and to start new quilts. The problem with all new beginnings is that they have to be finished eventually! Gramps and I are on the road, headed for Arizona to visit our niece,her husband and our “spiritual” grandchildren x 6. Our rental car is packed to the roof with Christmas gifts for young and old. Yes, I know Christmas was 6 days ago, but what’s a day? Or two? Or more? We have never had Christmas with this special family since we became honorary Dad/Mom and Gramps/Granny. They weren’t able to come to our house for the holiday, so . . . . logic says we take Christmas to them. Even though we had Christmas with the other children and grandchildren on the designated, accepted day, we still wanted to take Christmas to Arizona. So here we are on December 31 celebrating Christmas away from home with our “new” daughter, son-in-law and 5 of the 6 “new” grandkids. And you know what? It feels exactly like Christmas did last week! What is Christmas after all? It’s just a day. If you can’t enjoy the actual day, pick another. It will work just as well. Or do as we have done . . . . rejoice 2 or 3 times over. How fun is that? I have a very special memory from my childhood of the year we had 2 Christmases. According to my parents, Santa had forgotten to stop at our house and was coming back to deliver our gifts. The 3 of us children bought this story completely and were excited beyond belief that Santa would do such a thing for us. We were treated like royalty at school! No one else had ever gotten such special treatment from Santa. All the kids thought we 3 had an inside link to the bearded man! It wasn’t until I was an adult that I figured out why this all happened . . . . my parents couldn’t afford Christmas and had to wait for the after-Christmas sales to get our gifts. Can you imagine how hard this was for them and yet they were able to make it into one of the best memories for us. That was the true gift we all got that year and none of us have ever forgotten. We “kids”, all in our 60’s, still talk about the year we had 2 Christmases as one of the best ever. A true Christmas can happen any day, any where, with or without wrapped presents. The love, the sharing, the giving cannot be put in a box with a bow. Although I’m not discounting the thrill of opening a present, big or little, given with thought and creativity. This “2nd” Christmas has everything the first one had last week . . . . family, laughter, surprises, thank yous, piles of wrapping paper,lost little plastic men, good food, shared music, rowdy boys, exhausted adults. The only things different are one squealing, giggly little girl (the only granddaughter) and the neighbors here are watching reruns and eating mac and cheese. I think we are definitely having more fun! Maybe every year should have 2 Christmases!